Now I have a question: If you were responsible for only a fraction of the damage inflicted by Hayward's negligence, what would your compensation package look like? Maybe just like an immediate dismissal notice!? 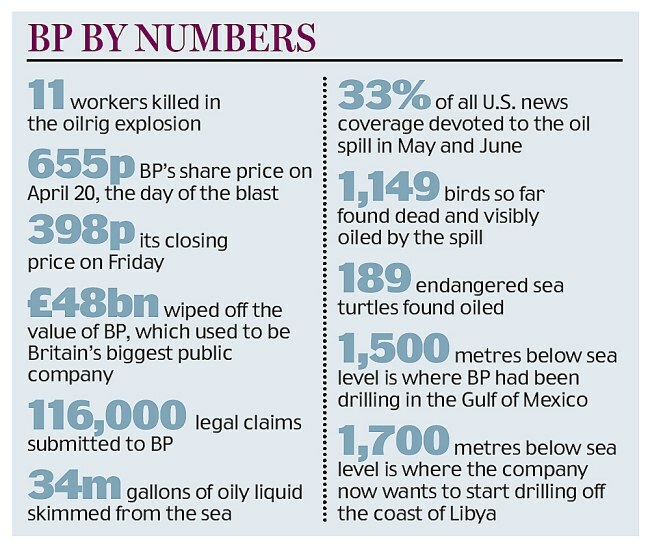 The Daily Mail has a scathing article on Hayward's leave and the Telegraph writes that BP USA boss Bill Dudley will succeed him. For more graphic pictures from the oil spill in the Gulf of Mexico I recommend Julie Dermansky's Flickr photo stream.